XP is older, but still commonly used. You’ll first click the Start Button and then Control Panel. In the Control Panel, look for the icon named “System” and double-click on that. Once in the “System” window click on the “Computer Name” tab and you’ll see your computer’s name right to the left of “Full Computer Name”. 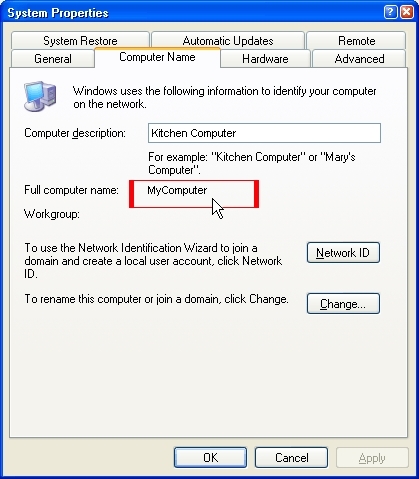 In the example below, you’ll provide “MyComputer” as the computer name. Simply click on the Start Button and open the Control Panel. In the Control Panel screen (shown below), enter “system” into the search box on the right and press enter. You’ll see a group heading called “System” – you’ll want to directly click on the word “System”. What you get is the following Window – Note that your computer name is listed near the bottom (you might have to scroll a bit to see it). 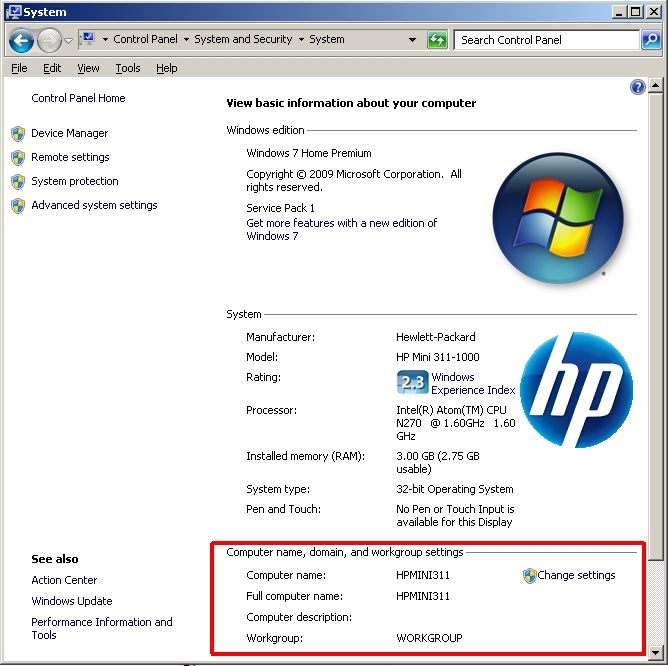 In the example below, the computer name you provide is “HPMINI311”. 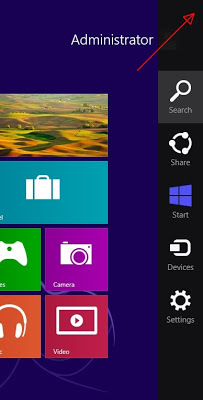 The instructions for Windows 7 are the same on Windows 8 (if you use the Desktop and find Control Panel). 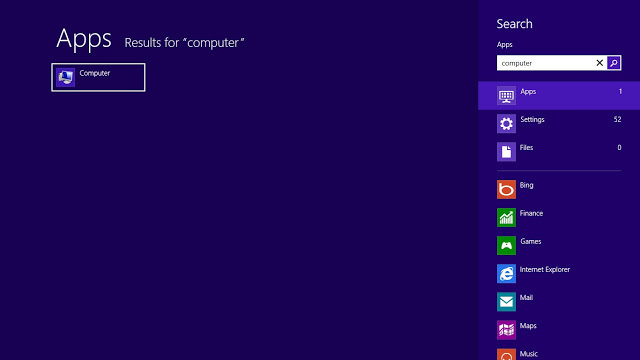 But, if you choose to use the tiled “metro” interface to find your computer name, here’s how to do that. Right-Click on computer to reveal options along the bottom-left of your screen. There will be a number of them displayed. Click on the icon labeled “Properties”. You’ll be taken directly to a window that shows the computer name (as shown in the highlighted area below). 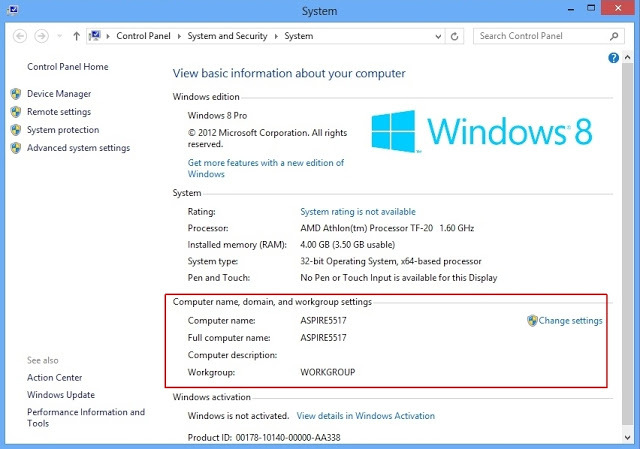 In the example below, the computer name is “ASPIRE5517”. Accessing the computer name fairly quick on Windows 10. First, move your mouse over the “Start” button (usually on the bottom-left of the screen). Alternatively, you can press the Windows Key and X together to get this same menu. Once you see it, click with the left mouse button on “System”. 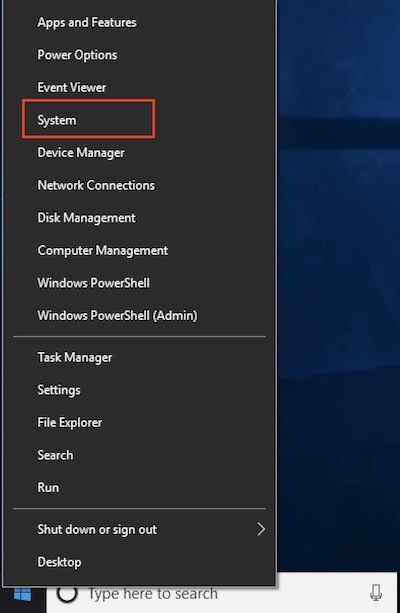 What you get is the following Window – Note that your computer name is listed next to “Device Name” (you might have to scroll a bit to see it). In the example below, the computer name you give is “WIN-6EV826H6F8K”. On A Mac, you need to launch the “System Preferences”. 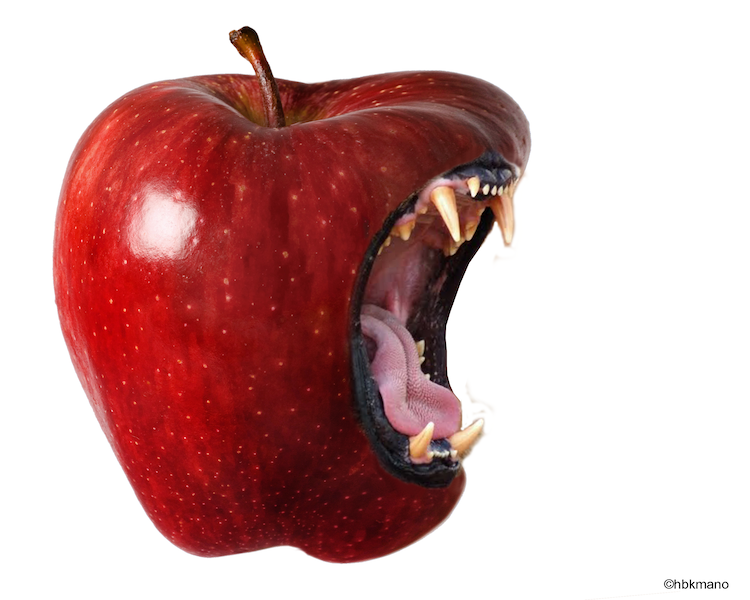 Get to this by clicking on the small Apple icon in the very left hand side of the system menu on your Mac. 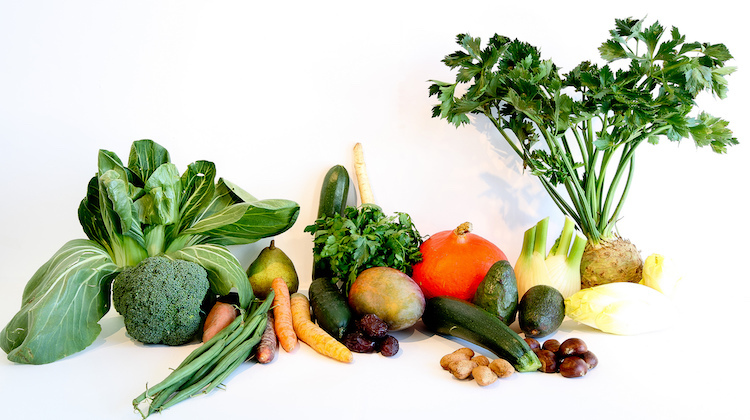 This menu is usually fond along the top of your screen. You might see the word “Finder” to the right of the Apple logo, but it doesn’t always say that. 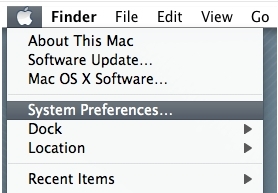 Once you open the menu, click “System Preferences…”. When this is up, click on the icon called “Sharing”. In the “Sharing” window, your computer name will be listed in the first text box. If were wondering if it can be changed – absolutely, this is also where you change the name of your Mac. In the example below, you’ll provide “Macbook” as the computer name. That’s it. Hopefully this gives you the information you need to get that name and move on to the more pressing matters at hand. If there is an Operating System you’d like mentioned here, please let me know in the comments and it may be added to this list.